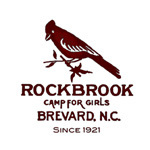 Rockbrook is a traditional overnight summer camp for girls located in the mountains of western North Carolina near Brevard. Established in 1921, it offers a diverse program of horseback riding, outdoor adventure activities, whitewater rafting, ceramics, crafts, and many other activities. Girls ages 6-16 attend for 2-, 3- or 4-week sessions. Campers live with other girls their age under the supervision of skilled instructors and cabin counselors. Rockbrook has a 1:4 staff/camper ratio, and is accredited by the American Camp Association. 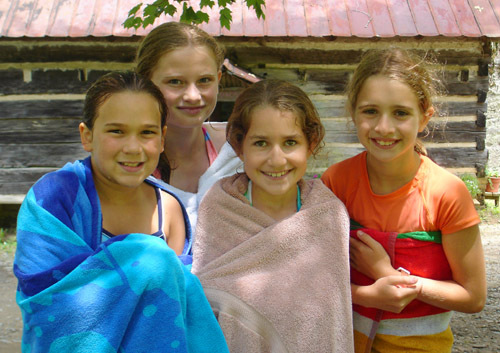 Each summer Rockbrook provides a unique camp program of recreation, adventure, creativity and fun designed for young girls. A day at Rockbrook is filled with new experiences and great opportunities to develop lasting friendships. Our goal is for each camper to gain, at her own pace, greater self-confidence and a deeper understanding of herself and of her relationship with other people and the natural world. Emphasizing a friendly and noncompetitive environment, we aim to provide summer camp memories that can serve as inner resources later in life. Activities: Creative Writing, Assorted Adventures, Backpacking, Canoeing, Hiking, Horseback Riding, Kayaking, Photography, Rafting, Rappelling, Rock Climbing, Ropes Course, Sea kayaking, Whitewater Canoeing, Whitewater Rafting, Acting, Arts and Crafts, Ceramics, Creative Writing, Dance, Drama, Drawing /Painting, Other Arts, Performing Arts, Photography and Video, Pottery, Sewing, Theater, Visual Arts, Archery, Backpacking, Baseball, Basketball, Boating, Canoeing, Cheerleading, Equestrian, Gymnastics, Kayaking, Rafting, Rappelling, Riflery, Rock Climbing, Ropes, Running, Soccer, Swimming, Tennis, Volleyball, Yoga.